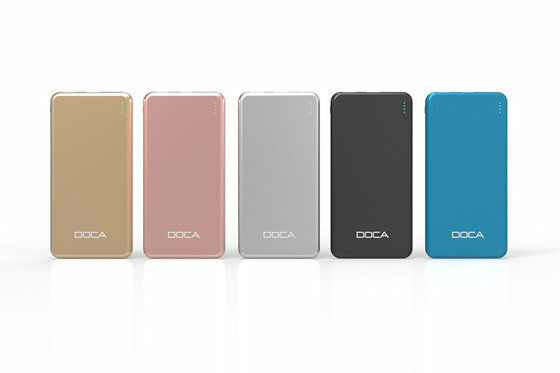 DOCA's powerful and durable 10000 mAh powerbanks stand out in the market. Chargers have a metal case. These devices are durable and reliable. Out of the whole range of energy banks offered in our online store, these are characterized by large capacities. The phone holder should have no problem charging three times. Polymer cells work efficiently and efficiently. This charger has two USB outputs. Thanks to them you can efficiently load two devices. It is you who decide which is to be loaded more efficiently. 2.1 A output is for faster charging, while the second output is 1 A for use when you want to conserve battery power in a loaded electronic device. Power Bank has a very simple and easy to read energy management system. The more lit LEDs, the more energy is in the device. Power banks for the weather and the weather. Passionate photography, knowledge that good lighting is the basis of good photographs. Professionals nowadays are increasingly using digital cameras. It is much easier to find a very good picture if you have a lot to choose from. This is why it is important to use digital cameras. Unfortunately, the disadvantage of such cameras is that they run out of batteries quickly. We can not allow ourselves to run out of energy. So use power banks. This is a great piece of equipment that accumulates energy for you. With this mobile charger, you are always sure that you do not have to focus on your equipment, just take beautiful pictures. Also, if you want to load the flash, the power bank will be very useful.